Editor’s note: “Media Spotlight” is an ongoing series where we interview the wide range of professionals that make up our growing office. From the traditional media planners to our digital buyers, you’ll gain insight into the many levels that make up Media Works Ltd. 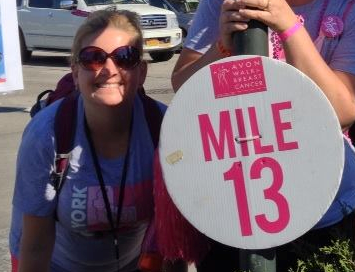 This week we interview Media Buyer/Planner, Jennifer Pupshis. A day in the life at Media Works is never the same – that’s for sure. Even though we all have our own assigned client lists we tend to work in teams helping each other out when needed. You ‘d be hard pressed to come into a quiet Media Works where the phones aren’t going crazy or there isn’t at least 3 meetings going on at once. The constant activity and team atmosphere are only a couple of reasons some of us have been here for so long. The challenges of being a media buyer or planner in today’s society are that the media landscape is more fragmented and changing every day. A media plan isn’t a mix of radio, TV, and print anymore. Along with the traditional vehicles we always have to be on top of and consider mobile, social and as well as all other advertising opportunities. My favorite executed ad campaign (that I’ve worked on) over the years is probably the Baltimore Area Jiffy Lube Local Owner campaign. Not only were we able to make the Jiffy Lube owners local celebrities but we were also able to tie in each owners local charity with the CBS Radio Friends and Neighbors van. The fact that we were able to provide the Jiffy Lube owners a way to give back more to their communities is what made this campaign so special. This is a tough question because I am such an open book! However, one thing that people might not know about me is that I wanted to be a journalist – the next Barbara Walters. It only took one elective advertising course in college to change my mind! How annoyed were you this summer with the constant banter of the NFL lockout? Listening to report after report of how the players and owners were fighting over more money was annoying to say the least. It’s really hard to feel bad for millionaires. Now it all makes sense why there was so much concern – they knew that the NFL was about to get a huge raise and they both wanted a piece of it. 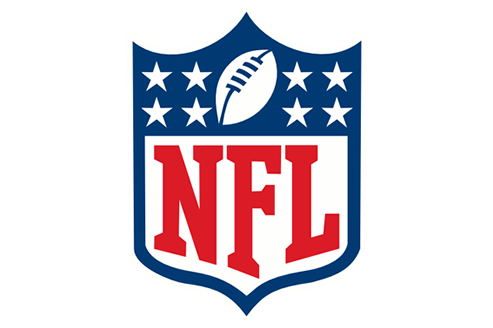 Back in September the NFL announced an eight year, $15.2 billon extension with ESPN for Monday Night Football. This deal, which included the rights beyond the TV Broadcast was said to be a 73% increase in cost over the previous contract. 73%!!! The fact that ESPN was willing to pay so much for this product validates the importance of the NFL to TV sports programming. It remains one of the few programs that are watched by live viewers continually separating it from dramas and comedies which are typically recorded for a later time. It was only a matter of time before the NFL worked out similar contract extensions with the other networks as well. That time was yesterday when the league reported that they were about to sign contract extensions with CBS, FOX and NBC raising their rights fees by 60%. These deals are about to average about $1 Billion dollars per year in revenue. Please keep in mind that the old deals with these networks are not up for another 2 years. Coming off the heels of the ESPN deal, however, the networks aren’t in the best position to negotiate. The NFL is definitely in the driver’s seat. These TV contract extensions are just the beginning. The NFL is also working on a deal that could include rights to sponsor technology such as tablet computers and communications systems used by the players and coaches. It’s basic product placement. TV Viewers will be seeing the coaches and players on the sidelines all gathered around an iPad from Apple Inc. or an Android device by Google, Inc. formulating plays. And if that’s not enough the NFL Network is also looking to expand its current package of seven Thursday night games – additional Thursday night games could actually be sold to another cable or broadcast network. The NFL is the only sports league in the United States that can negotiate 73% rate hikes and pull it off. In a time when leagues like the NBA are losing money the NFL remains to be profitable. Not only are they are the most watched programming on television they also have a good reputation stemming from their community involvement and fan interaction. Do I still think that a 73% increase is a bit ridiculous? Of course I do. As long as it doesn’t ultimately affect my rates (listen up TV and RADIO reps) I will always believe in the efficiency of advertising with the NFL. If you haven’t already heard – WHFS is back on 97.5-FM!!! On Monday, August 1st CBS Baltimore brought back what was once a staple of the Baltimore/Washington youth in the 1990’s. Logo – the same. Talent – the same. Great alternative music – the same! In a radio landscape that currently seems to super-serve those younger or older than me, I am beyond excited! I love the fact that while I am driving the “mom van” I feel like a teenager again and not a 35 year old. My friends and I were heartbroken in January of 2005 when WHFS 99.1 flipped to its still current Latin Music format – El Zol. As a media buyer, I understood the reasoning behind the flip and the need for a Latin format in an increasingly growing Hispanic market BUT as a 99.1 “P1” listener I was shattered. The music format that I had grown up with was gone. 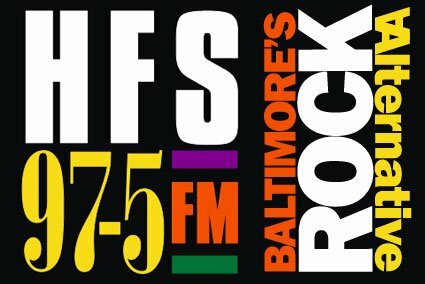 After the public outcry that followed the switch, the call letters WHFS, as well as it’s alternative music, were transferred to the 105.7 FM frequency in Baltimore – augmenting the talk format that was already in place. Not soon after in Nov 2008 CBS Radio ended dumping the historical call letters abandoning the alternative format again. So, here we are again– August 2011 and CBS Radio is giving it another try! They’ve brought back former WHFS DJ’s Tim Virgin, Neci, Gina Crash and Dr. Drew – overall a great line up. My only concern (as a buyer there seems to always be a concern) is that their limited signal is going to hinder their success. In a market where the top FM stations have at least 8,500 WATTS and can cover the Baltimore DMA – 97.5 FM is currently at 250 WATTS with rather limited coverage of the market. Maybe CBS is testing the format, again, before investing more dollars towards an increased signal. No matter what, I can only hope that “three times is a charm” and they are able to re-establish the success of the original WHFS. I certainly am hearing plenty of buzz among my peers – let’s hope that buzz translates into advertising revenue which ultimately determines a stations success. FACEBOOK – business or pleasure? Did you know that around 75% adults use some type of social media? That’s about the same percentage that is using blogs and forums. I’m sure it’s no surprise to you that the largest social network in the world right now is Facebook! Some thought Facebook was a fad. Unlike its arch nemesis, MySpace, it has sustained its enthusiasm and continues to increase its amount of users day by day. This Facebook phenomenon has changed the way people keep in touch with friends and families…you are in constant communication at all times (in some cases it’s actually too much communication). So I guess it was only a matter of time before Facebook would invade the corporate scene as well. If your business does not have a Facebook page you are in the minority. Media Works just launched our very own page on Jan 21st! I know you are asking – why does Media Works have a Facebook page and what will be the key to its success. Good questions. A Facebook page is a way for Media Works to create credibility with existing as well as new clients. It’s a great place for our “friends” to learn about our business and get to know the general character of our business model. In the world of Facebook everyone is a “friend” – no longer does a business have to feel abstract. It’s also a great way for a small business, such as Media Works, to build a following and brand awareness. The key, however, to the success of our Media Works Facebook page will really be by letting our fans and friends do the work for us and being active with it on a daily basis – it will be imperative for us to engage our fans and friends everyday with new and fresh content. We can only hope that our friends will be so intrigued by our page that they will share our page with their own friends and family – viral advertising at its best! For those that don’t know, Twitter is a free social networking and micro-blogging service that allows people to communicate through the exchange of quick and frequent updates known as “tweets”. Tweets are text postings (limited to 140 characters) which are displayed on the user’s profile page and delivered to those who are known as followers. Anyone can set up a Twitter profile in hopes that people will be interested in what they have to say and ultimately subscribe to become their follower. What better way for a company to market itself and its services than by creating interest on Twitter? Our client, LifeBridge Health Systems in Baltimore, set up their Twitter account in January of this year. As of this writing, they have 1,147 followers. They tweet everyday to keep their followers updated on the latest health issues and news. Daily updates are great but why can’t a hospital tweet about a specific surgery, essentially as a play-by-play? The marketing specialists at LifeBridge thought the same thing so on Thursday, May 14th they tweeted their first surgery – a Hip Resurfacing performed by the doctors of Sinai’s Rubin Institute for Advanced Orthopedics. Support the Economy and Buy American? It’s no secret that car manufacturers and dealers across the country are in trouble. And those being hit the hardest by this current economic climate are domestic car companies. GM is at the top of the list as the annual sales rate for the US auto industry is plunging to its lowest level in decades. GM just announced this week that its downsizing proposal goes much further than it had planned in December. GM is looking at eliminating 47,000 hourly and salaried jobs globally in addition to closing 14 factories by 2012. Hummer will be deleted from its divisional portfolio and Saturn could be eliminated in 2011. So the question at hand is, “Should we support the economy and buy American?” It’s actually a myth that all domestic cars are made in the US and all foreign cars are made overseas. There are thousands of foreign car name plates that are made right here in the USA. And don’t think that all GM cars are manufactured here. Many cars labeled with the GM name are in fact made overseas. By buying brands like Hondas and Toyotas we are actually supporting thousands of Americans in other states, thus supporting the US economy. Now it’s time to admit if I chose to go American when buying my new mini van. Sadly, I did not. But I still feel that by purchasing a new car in these troubled times I am doing my part in supporting the economy. I’d like to think of my support on more of a local level. I am supporting the local economy by using a Maryland-owned dealership. Those who will benefit from my purchase are the sales manger, the salesman and even the person who will work on my maintenance in the future. It takes support on a local level to really make a difference on a national level. As you know, Media Works is celebrating our 20th anniversary. In celebration of this milestone, Media Works is giving back to the community by partnering with GEM – Girls Empowerment Mission. GEM is a mentor program out of Chesapeake High School in Essex. It is designed to empower disadvantaged high school girls by providing opportunities and growth experiences that will help them become independent, self-sufficient, confident young women. Recently, Media Works hosted a GEM weekend getaway in Washington DC and College Park, MD. It was a packed weekend for the girls that included a visit to WPGC-FM, University of Maryland College Park and the Newseum in DC. Laura Howard and I joined the girls on Friday for the WPGC tour and College Park festivities. The girls were beyond excited to tour the WPGC station and learn about the radio business from the sales reps and DJs. We discussed all the different components of the media industry from selling radio, to buying radio, promotions, programming, etc. The highlight of the station visit was a meet and greet with on-air personalities Tigger and Rain. The girls could barely contain themselves!! !